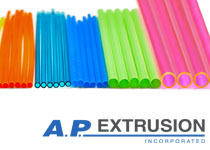 Manufacturer of high quality, tight tolerances polymer extrusions. Outer Diameter sizes from 0.002" to 0.500". We deliver on time and on budget. Custom Extruded Tubing and Profiles for Medical, Dental, Automotive, Aerospace, Fiber Optic, Energy and many more industries. A.P. Extrusion, Inc. is a leading manufacturer in the extrusion industry, with over 30 years of experience. We have some of the shortest lead times in the industry. Our expertise is in custom extrusions for a wide variety of industries with sizes ranging from 0.002" to 0.500" and wall tolerances as tight as +/- 0.00025. When you request a quote or sample, by phone or website, our team will work closely with you to determine your needs. Whether your requirements come from a standard dimensional request or a custom drawing that you provide, development runs available. 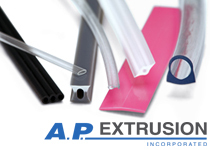 With over 30 years of experience in the Custom Extrusion Industry, A.P. Extrusion will fulfill your Custom Extrusion needs with ease. 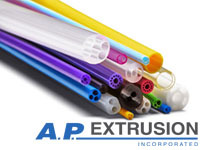 Our Custom Extrusion products include single and multi-lumen extruded tubing; extruded bead; striped and dual-walled extruded tubing; multi-bore and multi-colored ribbon extrusions. Our state-of-the-art facility allows A.P. Extrusion to manufacture your custom extrusion in many sizes, shapes and from a wide range of compounds. A.P. Extrusion can meet your unique configuration, and assist in developing the Custom extrusion that best meets your custom design specifications. A.P. Extrusion has been a leader in the extruded medical tubing industry for over 30 years. Our experienced staff and state-of-the-art facility enables A.P. 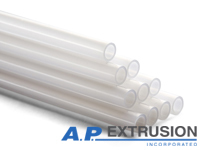 Extrusion to extrude our medical tubing from numerous polymer materials, including a wide range of polymers, thermoplastics and custom compounds. We extrude custom tubing with medical grade materials to meet FDA standards with strict adherence to GMPs. Our medical tubing is available in many shapes including; round, square, triangular, oval and rectangular. A.P. 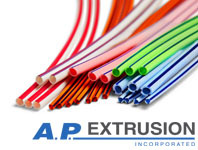 Extrusion manufactures medical tubing in a variety of colors including clear, custom, and stock. Using SPC workstation technology, we deliver tight tolerances, on time and on budget. 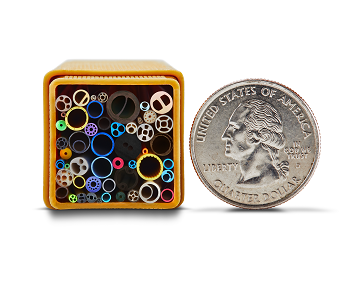 Questions about small diameter medical tubing? Call: 603 890-1086 or email info at apextrusion.com. 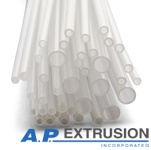 A.P Extrusion takes pride in providing medical tubing when precision is a matter of life and death. As the medical tubing industry continues to grow to meet the needs of medical and surgical advancements, A.P. 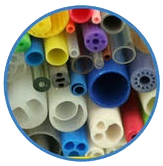 Extrusion remains on the cutting edge of medical tubing. Our experience in the diagnostic and interventional medical products industries makes A.P. 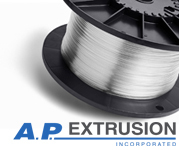 Extrusion your company's one-stop shop for all our medical tubing needs. Translate your design ideas rapidly and cost-effectively. In-line laser and ultrasonic technologies. Automation and data collection. Best practices. A.P. Extrusion now has the in-house capabilities to offer rapid prototype services for a wide range of industries. We can bring your SolidWorks print or R & D schematics to life, in a fraction of the time. A.P Extrusion offers some of the quickest turnaround times in the Industry. With our In-House Machine Shop, we can significantly reduce the lead times to our customers. We avoid outsourcing for extrusion tools and dies, which in some cases can take several iterations, A.P. Extrusion offers “on the fly” changes to tooling design to help expedite your project. Because our tooling is made in-house, many single lumen extrusions do not require an engineering charge. A.P Extrusion wants you to feel confident that your project will exceed expectations. We can provide free samples that are similar to your dimensional and material needs to ensure that you are confident in our capabilities. This is also an excellent way to narrow down an uncertain size and material selection to ensure your project stays on time and on budget. 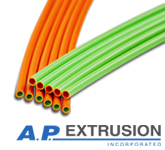 A.P Extrusion offers custom polymer extrusions in sizes from 0.002" to 0.500”, Single or Multi-Lumen extruded tubing, Extruded Profiles, Striped, Co-extrusion, Micro-Extrusion, spooled and cut lengths from most thermoplastics or custom compounds manufactured with wall tolerances as tight as 0.00025". During manufacturing we monitor all process parameters to ensure dimensional stability. In-line non-contact laser micrometers, the most efficient means of quality control to continuously monitor our extrusion processes, are used. We use state of the art precision vision measuring systems during manufacturing and in our QC lab. Benefits to tight process control is excellent quality, reduced waste and faster startup and best prices for our customers. 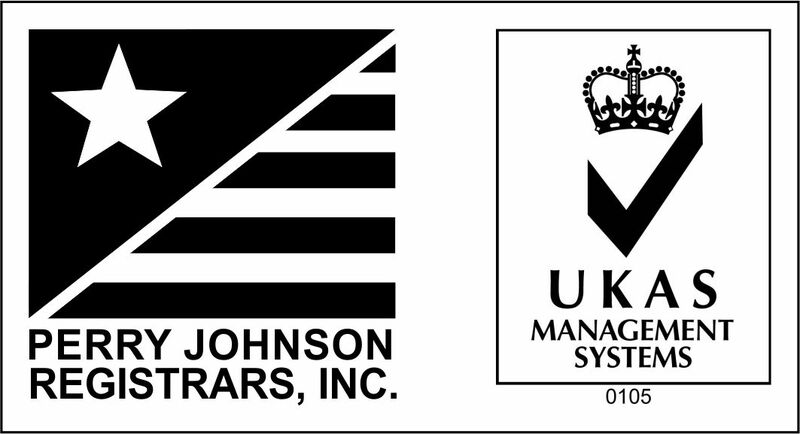 We have a highly trained staff and are ISO 9001-2015 Certified. A.P Extrusion will deliver your materials on time and on budget. Typical lead times for single lumens are 3-4 weeks. We also have options to expedite your order if needed. Our manufacturing facility is 30 minutes north of Boston, in Salem New Hampshire. A.P. Extrusion Inc. utilizes some of the most advanced equipment in the industry. From Laser Micrometers, Ultrasonic detection and Micro-Vu Vision Systems, we ensure we stay on the cutting edge of technology. Multi lumen tubing is created as a single tube with multiple 'channels' (lumens) running throughout the inside diameter of the tube. Dual wall tubing is an excellent choice when protection from water is critical and our engineers will work with you to determine precisely the right material for both the inner and outer walls. Micro extrusions are one of our specialties and can be manufactured to your exact tolerance requirements. Polypropylene is a lightweight thermoplastic resin that has strong chemical resistance, dimensional stability, and excellent surface rigidity. 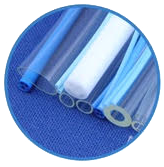 Polyethylene can be used for clear plastic tubing as well as colored and it can be manufactured to almost any shape and size. Extruded Plastic Profiles offer a solution for industrial and electronic packaging in creating rigid, moisture resistant protective tubing. 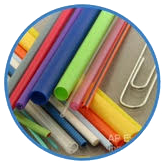 Our Custom Plastic Tubing catalogue of products includes single and double lumen tubing; extruded bead; striped and dual-walled tubing; multi-bore and multi-colored ribbon tubing. Extruded tubing serves multiple different purposes in the medical industry, from fluid transfer, air and water transfer, to medication distrubution and catheters. In the Aero industry, plastic tubing is used for a variety of fluid transfers as well as coatings for sensitive electronic components. Extruded tubing is essential throughout the automotive industry with a variety of uses including coating for sensitive electrical wires as well as carrying brake fluid, steering fluid and coolant. Most medications dispensed by a medical device require very precise doses at very carefully controlled speeds. For that reason, having the appropriate size and configuration of tubing is essential to the Pharma industry. There are numerous applications in the dental industry for extruded tubing, ranging from implants and braces to medication distribution. Extruded plastic has always been an important element of the energy industry. The durability, flexibility, and resistance to electrical current makes it ideal for coating many wires and other sensitive components. As communication technology continues to grow, so does the need for insulator tubing that is vital to the protection of the fiber optic cables carrying this important information. Our custom extruded tubing can be color matched or striped for easy identification when multiple strands are needed for complex jobs. Our tight tolerance tubing can play a role in providing precise and consistent fluid flow for a wide range of industries. From brake lines to dialysis we can customize your tubing requests to the exact measurements and tolerances required to meet your individual needs. We appreciate your visit today and welcome any feedback you may have about our site. For any feedback and questions about our products or services, please enter name, email and message and hit send. We will respond to you in a timely fashion.